iCare Tonometers for easy, accurate and patient-friendly intra-ocular pressure measurement. Fundus photography is the creation of a photograph of the interior surface of the eye, including the retina, optic disc, macula, and posterior pole. 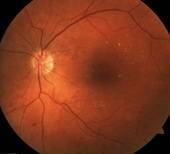 Fundus photography is used by optometrists, ophthalmologists, and trained medical professionals for monitoring progression of a disease or diagnosis of a disease. Glaucoma is a slowly progressing disease that has no symptoms or visual changes until more than half of the nerve tissue in your retina is destroyed. Even with other current technology, it is difficult to see early damage from glaucoma. 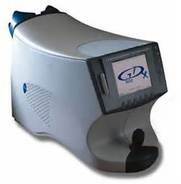 The GDx scanning laser ophthalmoscope measures the thickness of the retinal nerve fiber layer, which is the very first part of your eye that is damaged by glaucoma. This allows us to detect the presence of glaucoma up to 6 years earlier than other technology, so that we can begin treating your eyes before any nerve damage is done, and before any vision is lost. The Optomap allows your eye doctor to see retinal, optic nerve and cornea structures not visible through regular exam methods.